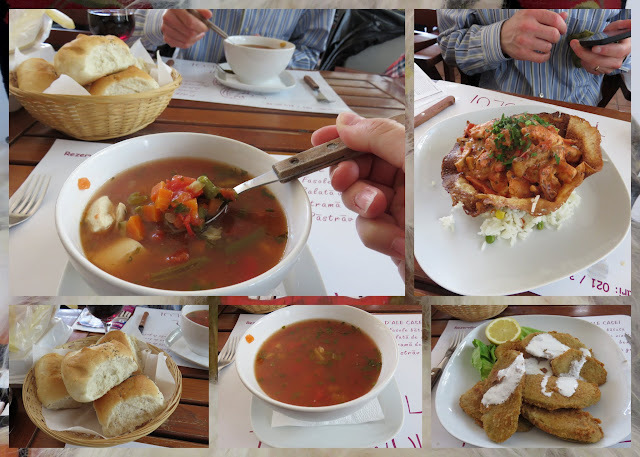 We weren't sure what to expect food-wise when we visited Bucharest in April for Easter this year. Compared to other Eastern European cuisines, Romanian food is not as widely known outside of the country. I'm pleased to report that the food was quite delicious: from satisfying snacks to hearty dinner platters to decadent desserts, we definitely did not go hungry. 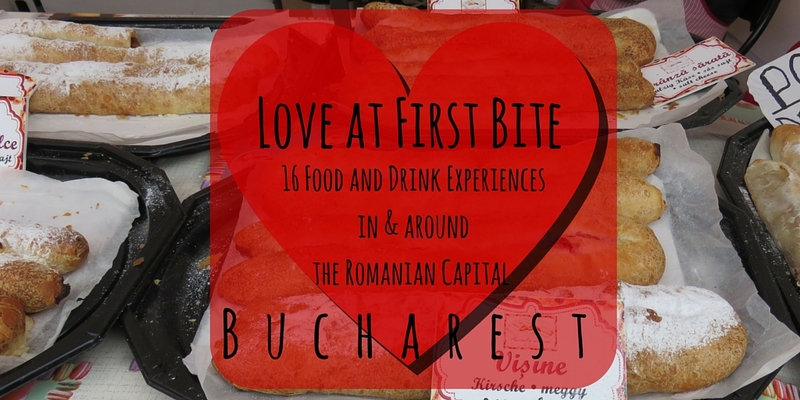 Here are 16 food experiences that we enjoyed during our visit to Bucharest. I have a raging sweet tooth so papanași was certainly one of the most memorable dishes from our trip. 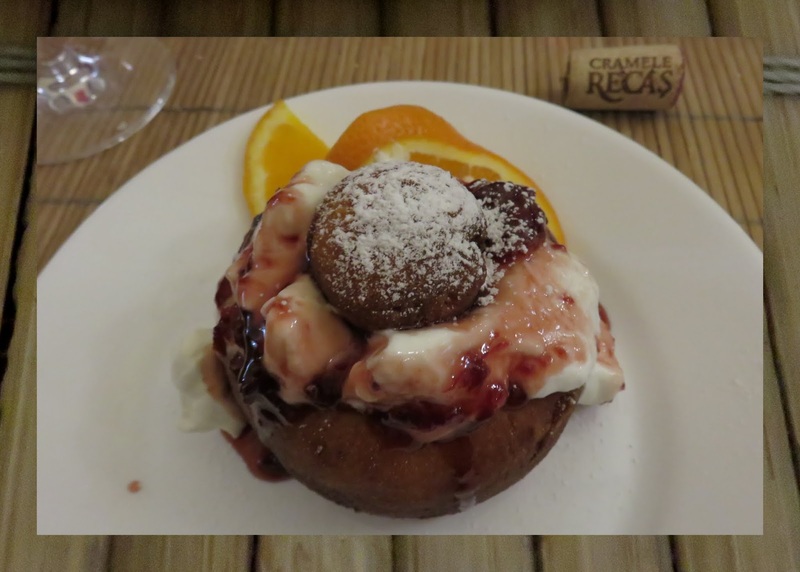 Papanași is a doughnut made with soft cheese, covered in cream and jam with the doughnut hole added back on top. A single portion typically consists of 2 papanași although I could barely eat one. They are super dense. 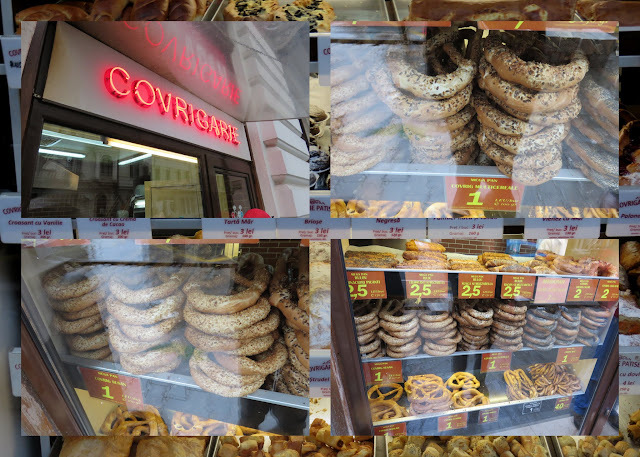 Covrigi are the Romanian version of pretzels. Hot from the oven and covered with various kinds of seeds, covrigi are the perfect affordable snack on the go. They range in price from 1-3 lei (about 0.25 - 0.75 USD at the time of writing). Mămăligă is a hearty corn polenta often served with a hot pepper on top so you can regulate the heat to your taste. It can be served as a main or side dish and is a mainstay on the menu at traditional Romanian restaurants. 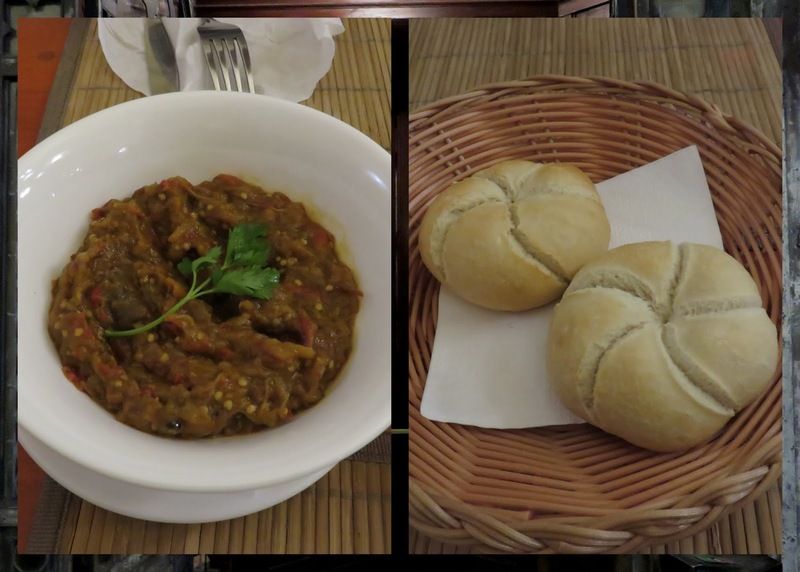 Romania is also known for a hearty eggplant dip frequently served with kaiser rolls. It makes for a nice appetizer with a glass of wine before dinner. Caru' cu Bere (aka the Beer Wagon) is one of the more popular restaurants in Bucharest. 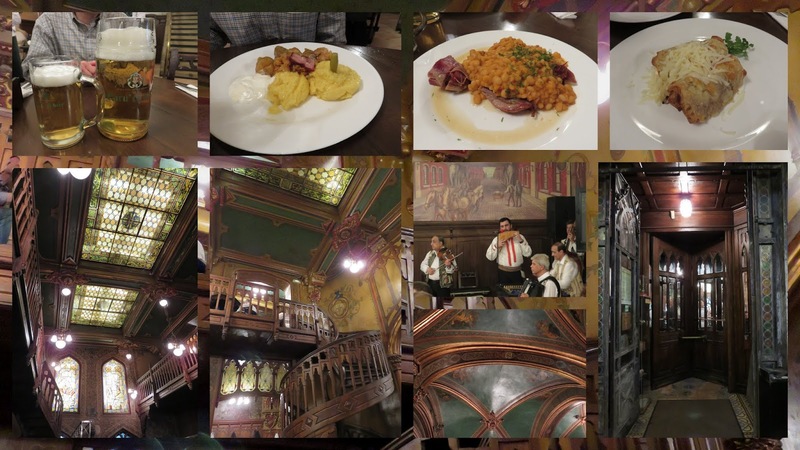 The restaurant is renowned for its Art Nouveau architecture as well as for hearty cuisine. Strains of traditional music rise above the talking diners. If you're lucky, you can also catch some traditional dancing by the main bar. We smiled as buskers walked past hawking photo ops with elaborate costumes and live birds. Caru' cu Bere makes for an entertaining evening. The Museum of the Romanian Peasant features a modest cafe serving up traditional Romanian specialities. We sampled hearty vegetable soup, fried zucchini, and chicken served in a deep fried bowl. This turned out to be one of the best meals we had in Bucharest. Hot soup and delicious bread go perfectly together. 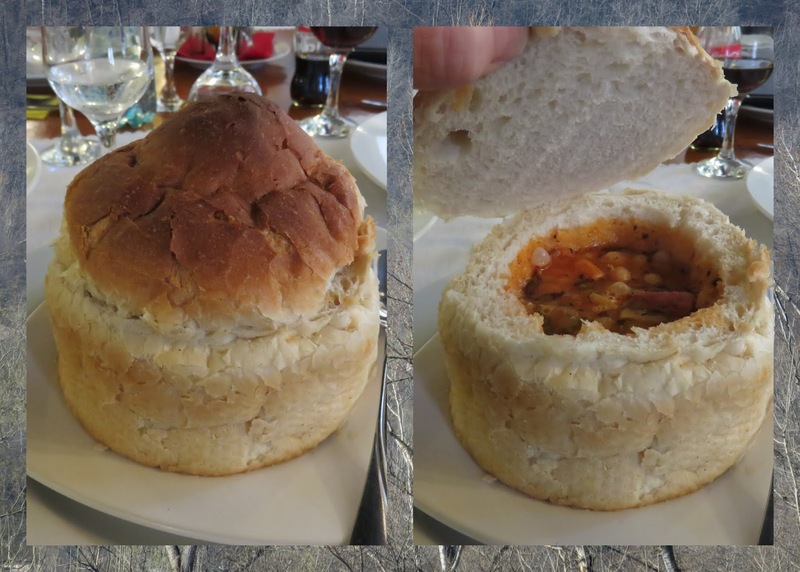 We ate at a restaurant in the countryside en route to the tourist sites in Transylvania and were served this hearty creation for lunch. 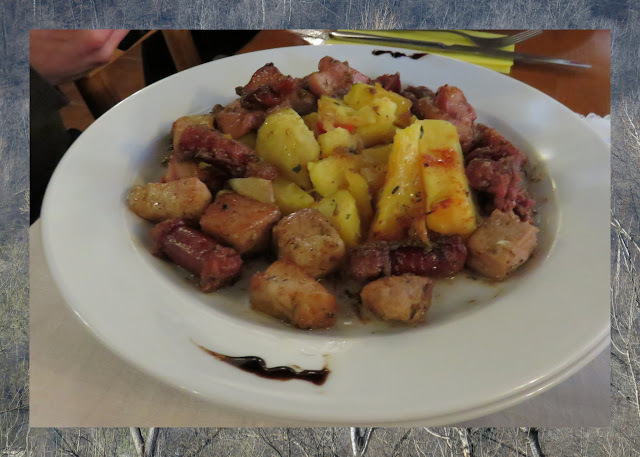 Pork features prominently on the menu at most Romanian restaurants. 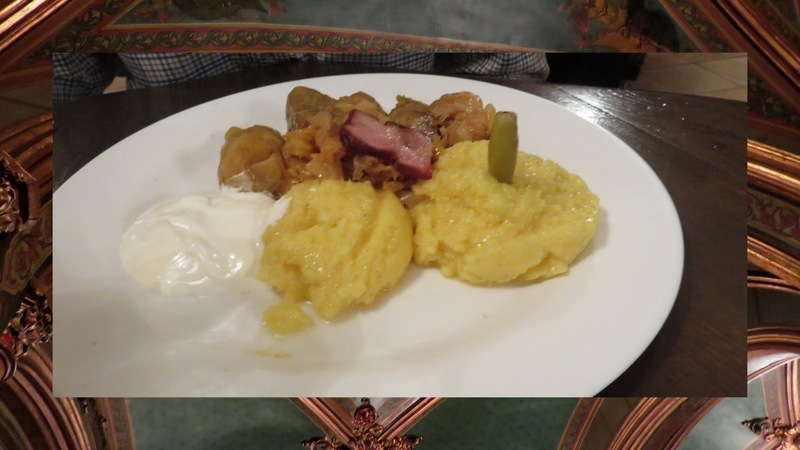 We sampled a pork plate for lunch at a restaurant in the Transylvanian countryside. The Bucharest Walkabout City Tour was one of the highlights of our trip to Bucharest. 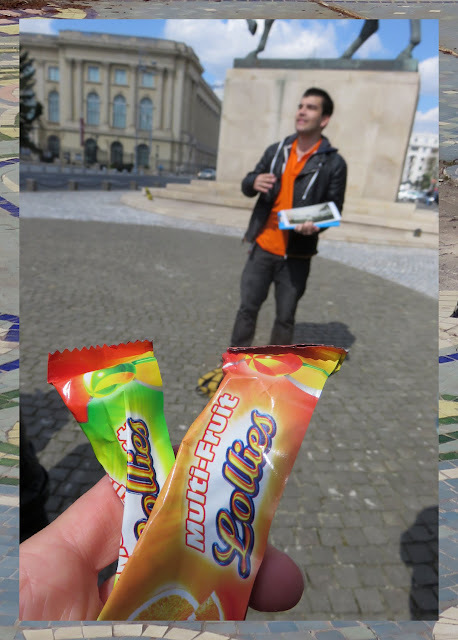 Our guide gave out Romanian lollies when we answered his questions correctly. I'm a naturally competitive person and I love to win prizes no matter how small so this definitely ranks on my list of top 'food' experiences in Romania! 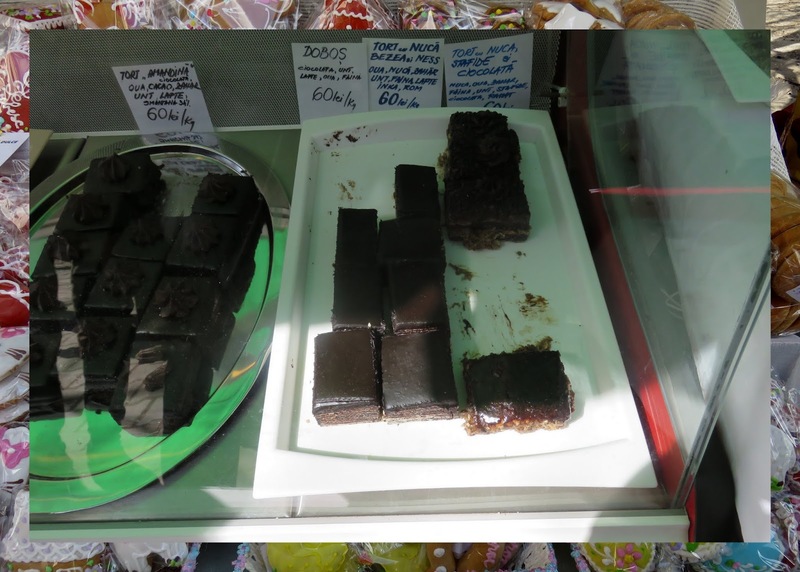 We discovered homemade cake squares in a variety of bakeries but decided to indulge at the Easter holiday craft market at the Museum of the Romanian Peasant. The rich decadent chocolate treats definitely sated my sweet tooth. We love visiting bakeries when we travel to sample local sweets. 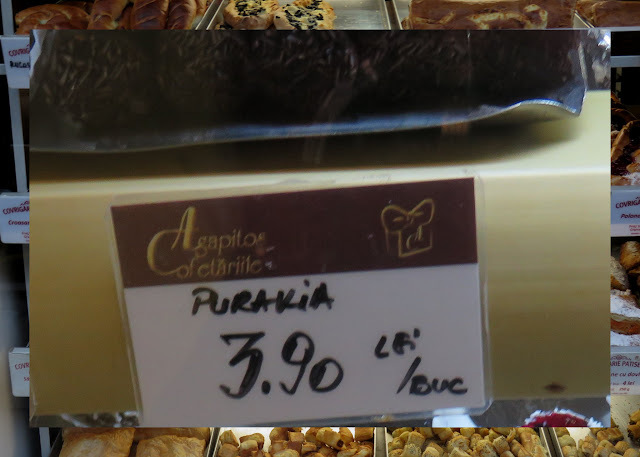 We were perusing the display case at a bakery in Bucharest when I spied Purakia. It was hard to tell exactly what they were as the bottom half was rolled up in foil. The thick chocolate peeking out of the top was intriguing enough to give them a try. It turns out that Purakia are chocolate tubes filled with chocolate frosting. This treat was so indulgent! 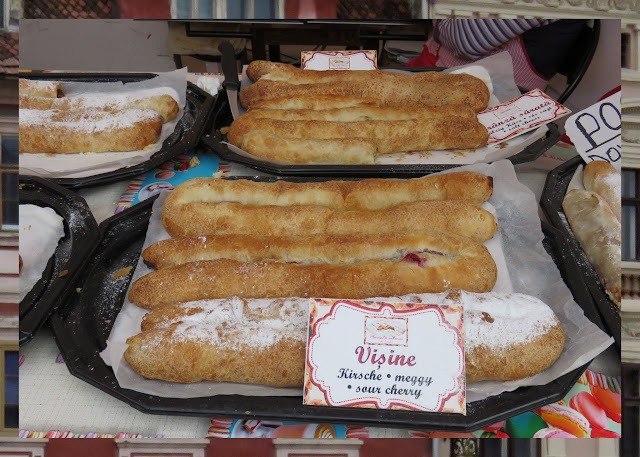 We spotted plates of fresh strudel at an open air market on the square in Brasov. We decided to buy strudel cu vișine (sour cherry strudel) to enjoy on the bus ride back to Bucharest. The strudel is sold by weight and we mimed how much we wanted with our hands. The crust was delicate and the inside was jam packed with tart fruit. Delicious! It turns out that in addition to doing traditional cuisine well, Bucharest also has some fantastic hipster coffee places like Origo and The Coffee Shop. 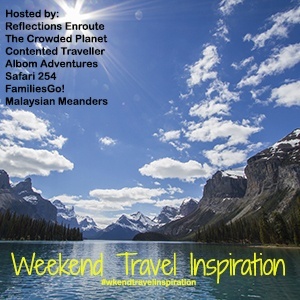 We spent a fair amount of time soaking in the atmosphere and refueling before continuing our explorations. 14. 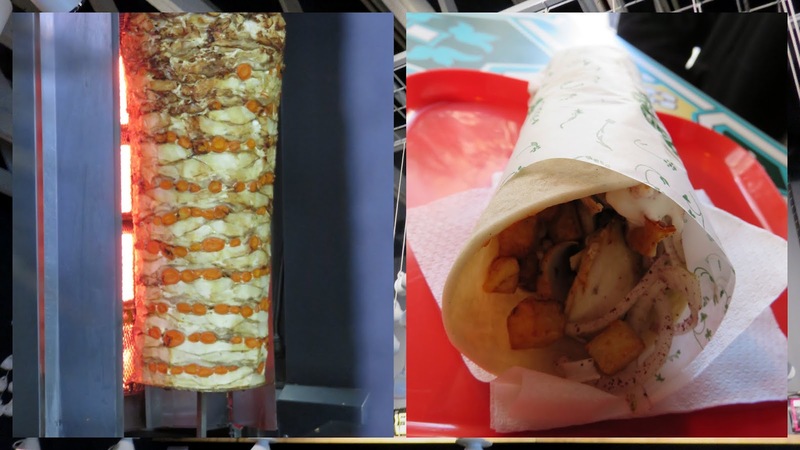 Kebab - Would You Like Some Veg with That? Lipscani is the nightlife neighborhood in Bucharest. Of course, this means there are lots of late night places to grab a bite. Fortunately for us, some of them were open in the afternoon and early evening too. We sampled juicy kebabs at Calif. We were particularly impressed by the fact that Calif jams rows of carrots into their shaved meats. This place is definitely worth a stop. 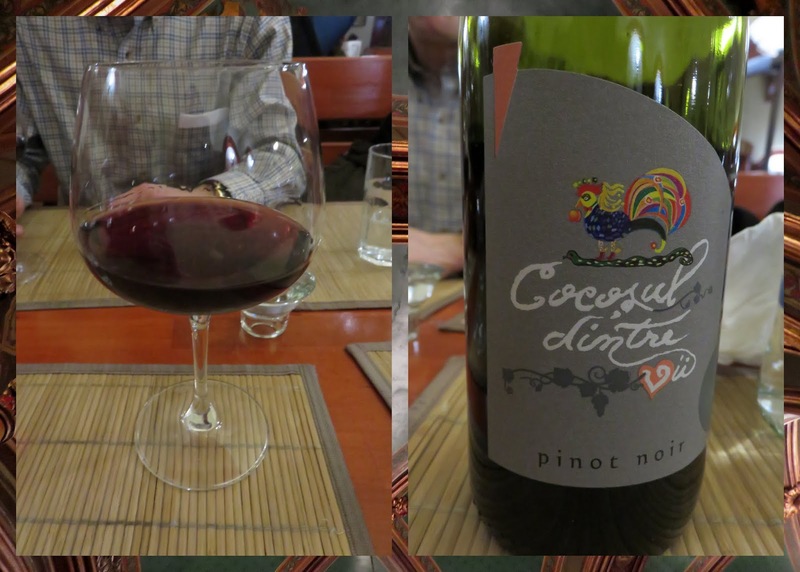 Romanian wine was a surprising treat. We enjoyed a light and fruity Pinot Noir from Cocosul Dintre with our meal at La Mama restaurant. 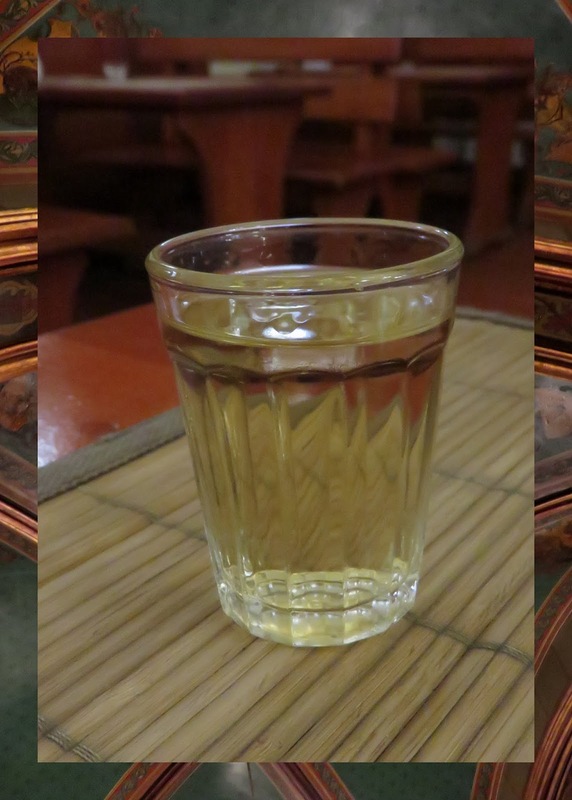 La Mama also gave us an unexpected treat, a shot of plum liquor (Ţuică). The drink served as a bracing end to the evening and was the perfect toast to all the great food experiences we encountered during our time in Bucharest. 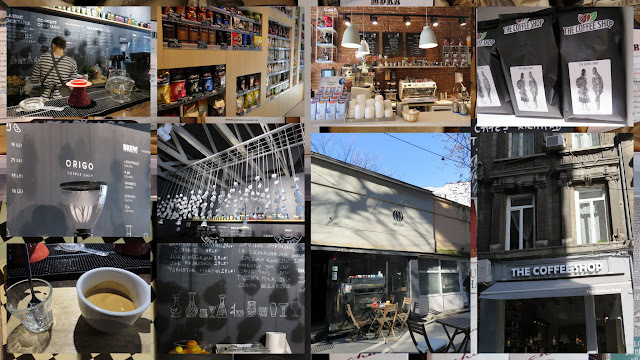 Food and drink experiences in and around Bucharest, Romania.